Randy Webb, executive professor of Marketing at the C. T. Bauer College of Business at the University of Houston, recently partnered with Citgo’s Lubricant Division to create a sales training program for the company’s sales managers and their lubricant distributor customers. Faculty at the C. T. Bauer College of Business at the University of Houston have long been leading Houston from inside the classroom and out, bringing their expertise to the Houston business community. Bauer Marketing Executive Professor Randy Webb is no exception. Webb recently partnered with Citgo’s Lubricant Division to create a sales training program for the company’s sales managers and their lubricant distributor customers. The training program is meant to set Citgo’s lubricant division apart from competitors by providing a unique opportunity to its customers. Webb has more than 28 years of experience in sales, marketing and senior management, first from Dial, where he was the youngest corporate officer when he was appointed regional vice-president and later as vice-president of sales. Later in his career, he served as vice president of sales at M&M/Mars, a division of Mars, Inc. and in 1991 became president of Uncle Ben’s, Inc. until he retired in 1997. 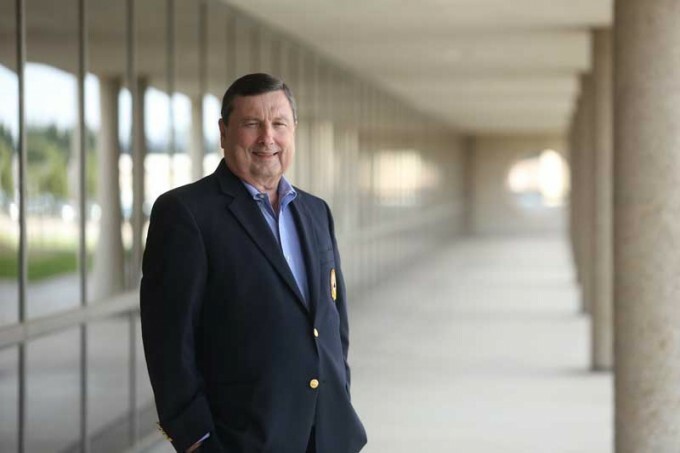 Since his retirement, Webb has kept up with the forever-evolving sales field, including research and technology, through the Sales Excellence Institute (SEI) at Bauer College while bringing in the program’s 25 partner companies. “If we can’t stay current, then we’re not going to offer any value if we go out and start doing consulting and training. I think the benefit of working with companies like Citgo is staying current in the industry,” Webb added. Now an award-winning professor at Bauer, Webb teaches classes in sales management, leadership and key account selling, along with the corporate politics course in the Executive MBA Program. Webb is also the director of undergraduate studies in the Program for Excellence in Selling.